founded by Wouter Strietman, Strietman is a company developing and designing coffee related products for the household environment. These products excel in quality and craftsman-ship. Simple and reliable engineering, built to last forever. 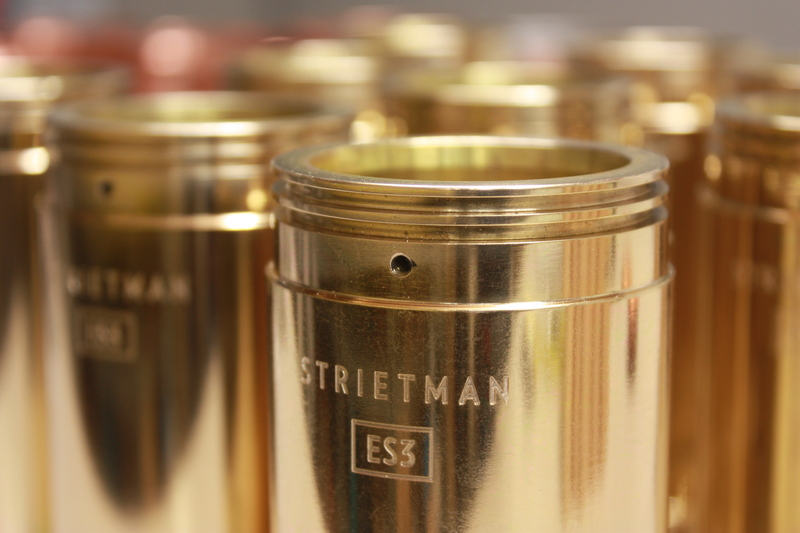 The Strietman espresso machines are produced in The Netherlands using a small-scale industrial production line. The machines are carefully assembled and tested. 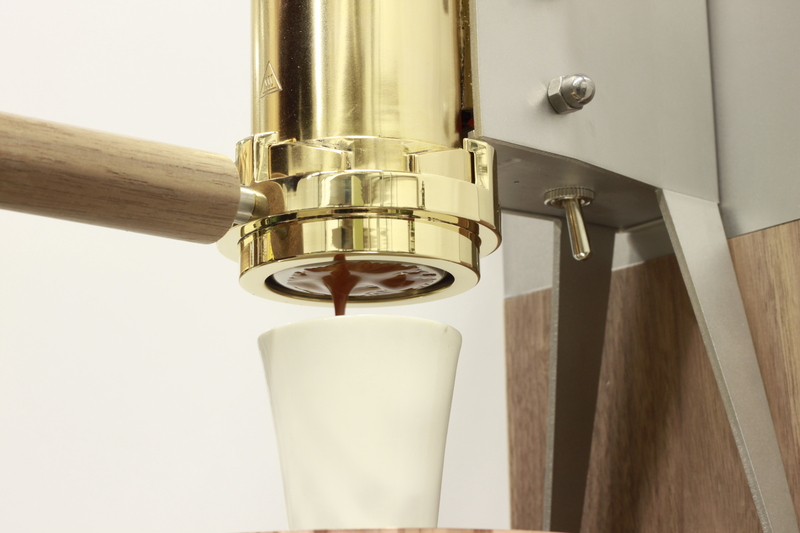 The ES3 espresso machine takes the art of coffee making back to its essential origin. The technology involved has been simplified and made visible in every de- tail. The machine is operated by hand and for full quality control you can rely on the judgement of your own senses. Perfection, simplicity and transparency have been the leading principles during development. To safeguard reliability, security and sustainability, the machine is CE certificatied and therefore, all machines comply with the European standards. Strietman aims to appeal to users looking for the best possible taste from a machine that looks great because of its build quality and durable engineering. Celebrate the coffee ritual, the joy of a perfect espresso being a quality part of life. 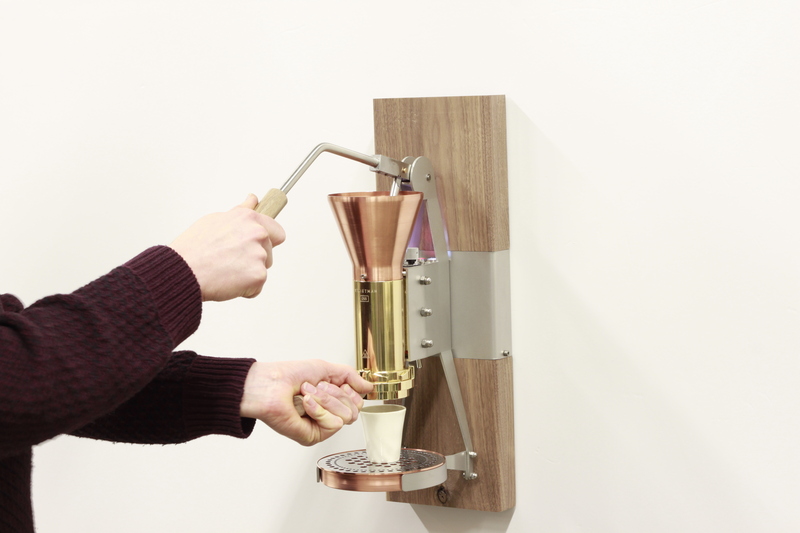 Focus on the pure simplicity, having a piece of solid traditional engineering to allow a sensory experience of coffee preparation. 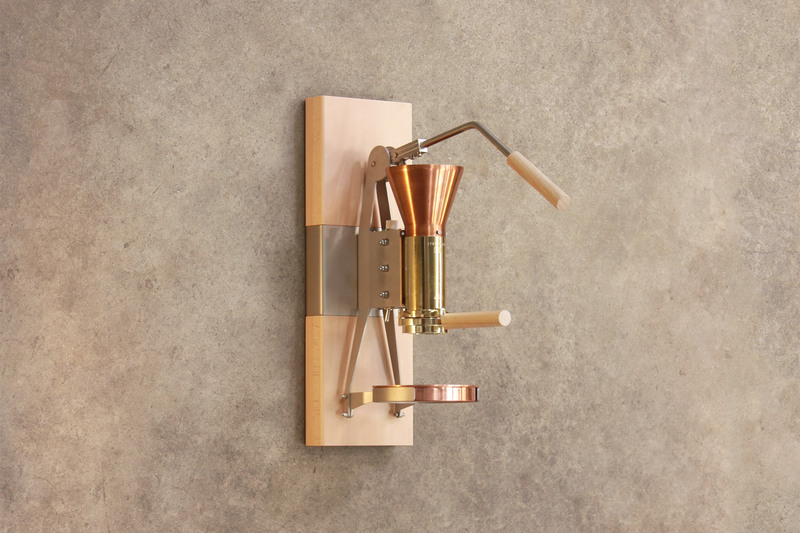 Most espresso machines carry quite complicated electromechanical systems but the ES3 uses a simple and robust lever mechanism. This technology —developed in post-war Italy— gives you absolute control over the ex- traction process. Why is controlling the extraction process so important? The coffee bean is a natural product and as such it is subject to subtle changes over time. Preparing the perfect espresso involves a continuous interplay between coffee bean, grinder and espresso machine. 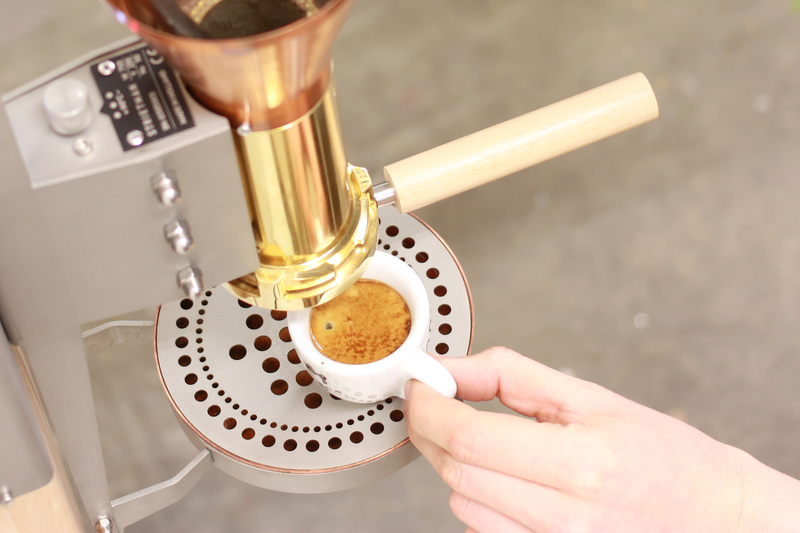 If during your extraction of an espresso you feel that the first coffee drops appear a little later and slower than expected, you can easily adapt the extraction process by pulling the lever down just a little bit harder. 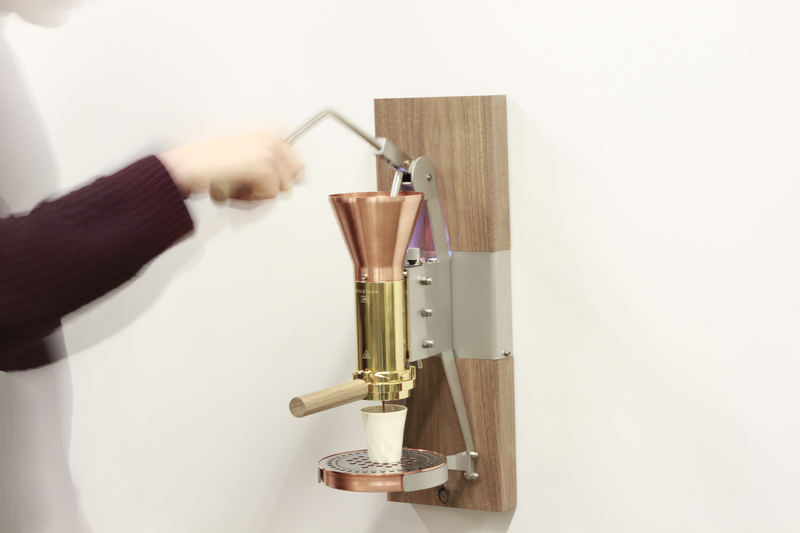 After finishing the shot, you will probably adjust the grinder to a slightly coarser setting but you just might also experience a new and deeper taste quality in the stronger brew. 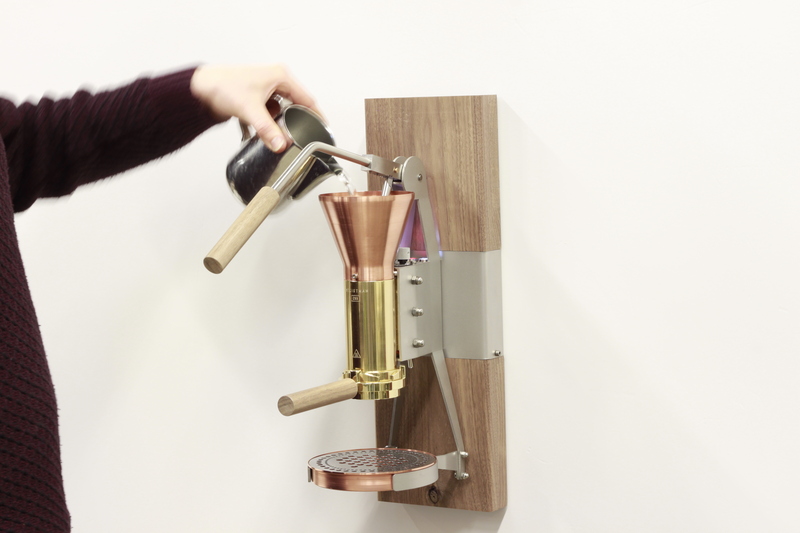 As the palm of your hand leans on the lever and the espresso starts to flow, you will find that there is no system offering you more direct control than the ES3. Furthermore, the ES3 water temperature is easily adjustable. This is very convenient because an Ethiopian bean could be most delicious if brewed on 88oC whereas a robust Brazilian may sometimes be best extracted at 94oC. On the ES3, nothing is concealed. The open boiler shows the hot water and the filter basket contains the ground coffee. After the portafilter has been connected to the ma- chine, you lift the lever. Then, from the top, you carefully apply counter pressure. The first droplets of coffee appear and the extraction has begun. As the espresso flows, it is clear how quiet this machine is. The ES3 has no casing. This is pure technology and form following function. The ES3 does without a concealing steel casing and there are no electronic push buttons; the ma- chine was expressly designed from scratch with the prospect of never having a casing. In consequence, nothing can be hidden from sight. And this would be unnecessary too, because the ES3 has been manufactured using the very best materials. For safety reasons we did close off the box containing the heating element and thermo- stat. Every single part of this machine has been under close scrutiny because it is built to serve you for at least 20 years. Robust technology, durable materials and a design which will still match excellently in years to come. I am not a coffee drinker, but was amazed at how much detailed work goes into cleaning the espresso machines. I agree, although a lever machine (like the ES3) doesn’t need as much cleaning as a regular espresso machine.